2185, Used Rims,17X7, 8 LUG, 6-1/2", 03-08, DODGE, RAM, 2500-3500. STEEL 10 POCKETS. 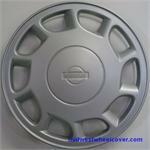 3012, Hubcap used, 14", 1967, CHEVY, CHEVY II, RING TYPE, STAINLESS STEEL, 10 POCKETS, RECESSED CENTER WITH BLACK BACKGROUND & SILVER BOWTIE, METAL CLIPS. 69215a, Used Rims, 16X7, 5 LUG, 86-88, TOYOTA, SUPRA, 10 POCKET, SPOKE IN EACH POCKET, COMES RIGHT OR LEFT, ALLOY.